Mermaids return to Newport Aquarium to enchant guests September 28 – October 14. And for the first time ever, guests will get to explore the all new Mermaid Cove, where a mermaid can swim right up and meet them. With this new addition, guests will now have three opportunities to see and interact with mermaids throughout Newport Aquarium. Add a couple of pirates, and it’s a swashbuckling good time! The magical mermaid experience begins in Shark Ray Bay Theater where Newport Aquarium guests will be greeted by a mermaid while she’s sitting on her throne. It’s the perfect photo opp, while ocean friends like Denver the sea turtle, Sweet Pea the shark ray, and our sand tiger sharks all swim up to the Surrounded by Sharks window to say hi. Next stop on the journey to find mermaids is the tropical habitat of the Coral Reef. Visitors will be mesmerized when they see real-life mermaids swimming gracefully underwater, alongside cownose stingrays and other tropical fish friends in the 30-foot long, 60,000-gallon Coral Reef Tunnel. New for 2018 – The mermaid pod has taken over Stingray Hideaway, and transformed the tropical locale into Mermaid Cove. This unique new interaction will allow a mermaid to swim, show off her glorious tail and talk to guests. With the mermaids visiting from different parts of the world, it’s the perfect spot for them to tell their new friends all about their adventures and how important ocean conservation is for them and all sea life. Daily mermaid appearances are included with regular admission, and guests can visit NewportAquarium.com for more information. The festivities kick off with the Mermaids and Pirates Party on Friday, Sept. 28 from 7 p.m. – 10 p.m. This after-hours family-friendly costume party includes appetizers and refreshments, dancing, an adventure map and mermaid and pirate-themed activities. There’s also a special mermaid meet-and-greet and much more. Tickets can be purchased online for this signature event. Another add-on experience this year is the Mermaids and Pirates Breakfast on Oct. 7 and 14 from 8 a.m. to 10 a.m. Guests can enjoy breakfast with their families in Newport Aquarium’s Riverside Room. All guests get exclusive access to meet a mermaid and pirate. After breakfast, guests will be invited into the aquarium before it opens to the public. NEWPORT, Ky. — The WAVE Foundation, an independent nonprofit in partnership with Newport Aquarium, invites the public to paint the night blue for ocean conservation Oct. 2 at the 10th annual Nauti Nite fundraiser presented by PM/PC Direct Inc.
Nauti Nite attendees are encouraged to wear their favorite blue cocktail attire as they celebrate the largest WAVE Foundation fundraiser of the year and party with Newport Aquarium’s adorable, tuxedoed African penguins. 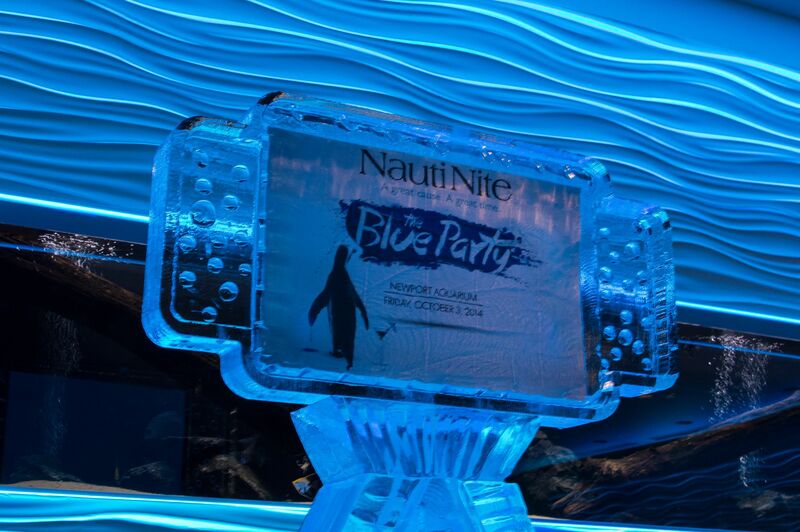 Proceeds raised from Nauti Nite directly benefit the WAVE Foundation’s education and conservation programs, such as the Finstitute, which serves more than 20,000 students per year through outreach programs, classes and aquarium visits. Held at Newport Aquarium from 7:30 p.m. to 12:30 a.m., Nauti Nite will feature local catering, live music, a silent auction and exotic animal encounters, in addition to exclusive after-hours access to the one of the top-rated aquariums in the U.S. Guests will have the opportunity to explore Newport Aquarium’s more than 90 unique exhibits, observe the beauty of aquatic life, enjoy food and beverages from dozens of Greater Cincinnati’s favorite eateries and listen to live music. Tickets to Nauti Nite are available at wavefoundation.org for $75 per person, $140 per couple, and include unlimited food and beverages. Newport Aquarium Annual Passholders receive a 20-percent discount on Nauti Nite tickets. In 2014, Nauti Nite generated more than $50,000 to further the WAVE Foundation’s mission of promoting the welfare of aquatic life through advocacy, volunteerism and education. For more information on Newport Aquarium, visit NewportAquarium.com or call toll free 800-406-FISH (3474). To learn more about the WAVE Foundation, visit wavefoundation.org. The WAVE Foundation is an independent, educational nonprofit organization at Newport Aquarium, which strives to excite, engage and educate the community about aquatic life and the importance of conservation. Its programming initiatives exist in three core areas: education, conservation and volunteerism. WAVE provides unique education curriculum and experiences for students of all ages; supports and provides leadership in local, national and global conservation efforts; and has a vibrant volunteer program with more than 500 dedicated volunteers.